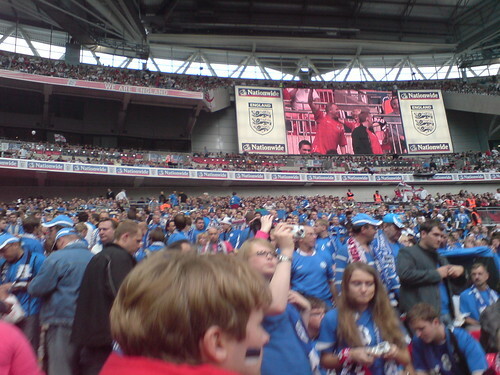 The Estonia-England Euro2008 qualification game at Wembley was quite an experience. For the most part, not for the devastating game but the emotions around it. Roughly 2000 Estonians trying to outshout & -sing 84600 English supporters. Apparently, our Song Festivals are not that unique after all. A few more mobile shots here. Note to self – you actually could bring a decent camera to this stadium, no matter what the back of the ticket warning says.